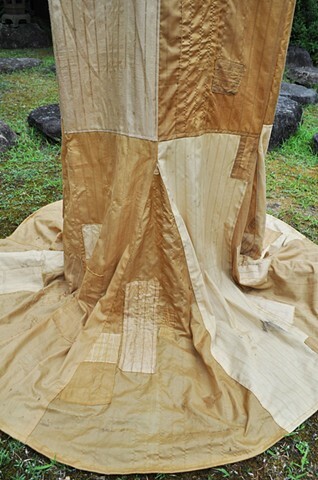 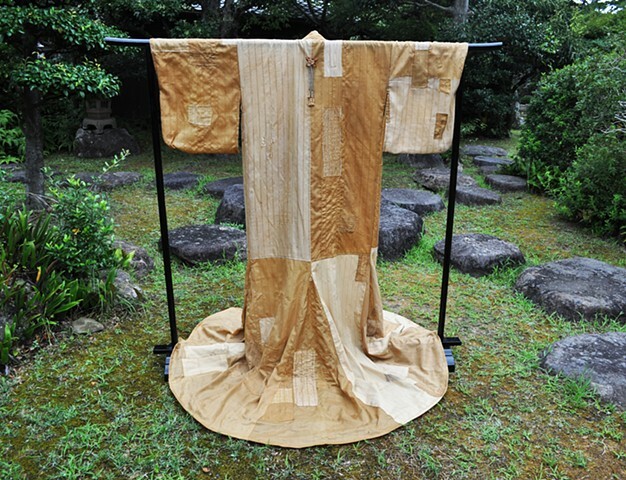 This Shoyu Yukata is made out of used shoyu filtration cloths by master tailors from the town of Hiketa, Japan : Mieko Kusaka, Toyoko Veta and Emiko Kimura. 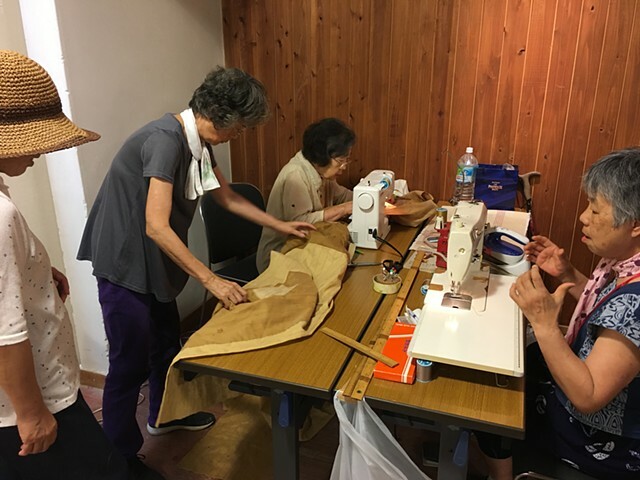 Yukata meaning “bathing clothing,” was traditionally worn after bathing in communal baths and functions as a quick way to cover up the body and absorb the remaining moisture. 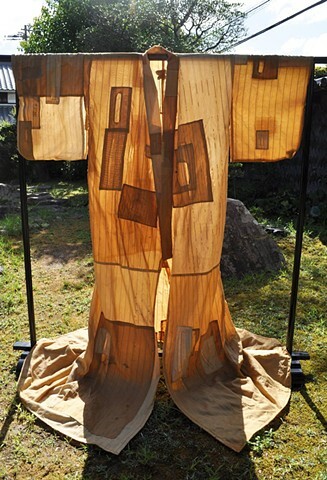 It is a casual summer wear version of the kimono that is usually made out of cotton or synthetic fiber and unlined. 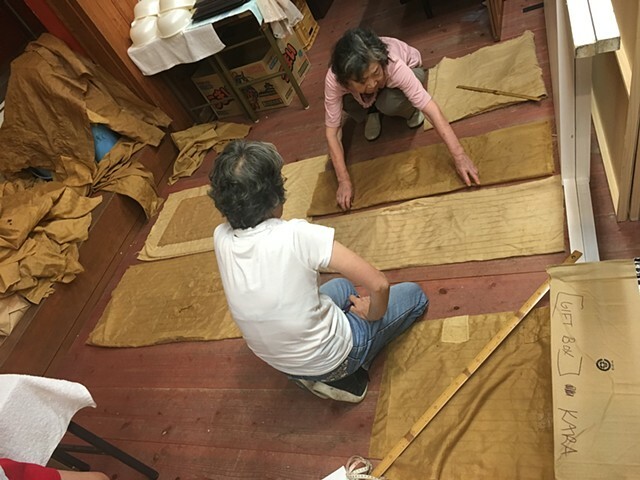 The soy filtration cloth is imbedded with memories, aromas and beauty, reflected through the rips and patches that are a product of pressing the fermented raw shoyu paste to separate wheat and soy residue through layers of filtration. 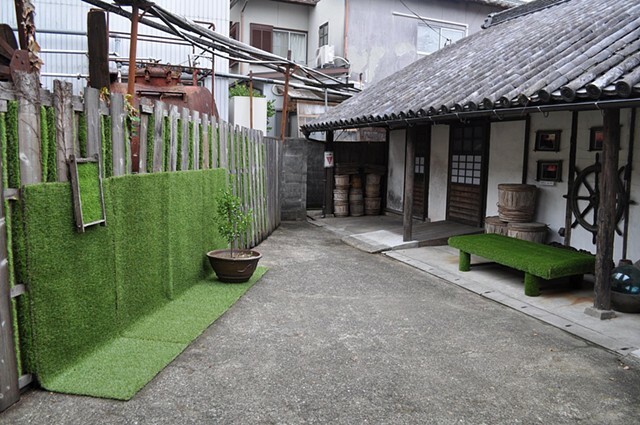 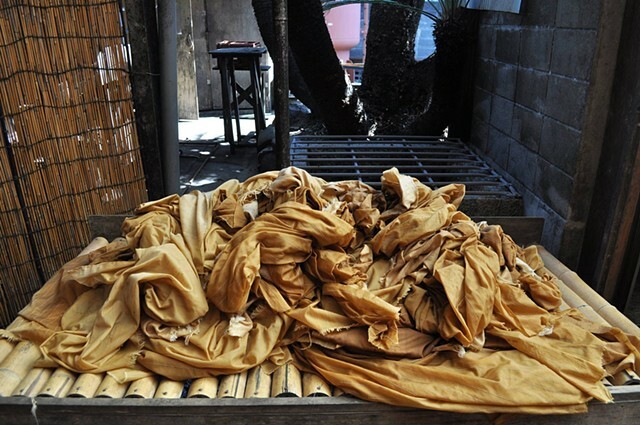 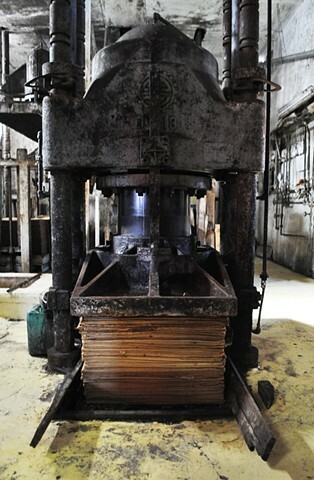 By choosing to use this cloth, I am drawing from the history of the town and of the labor of shoyu production. 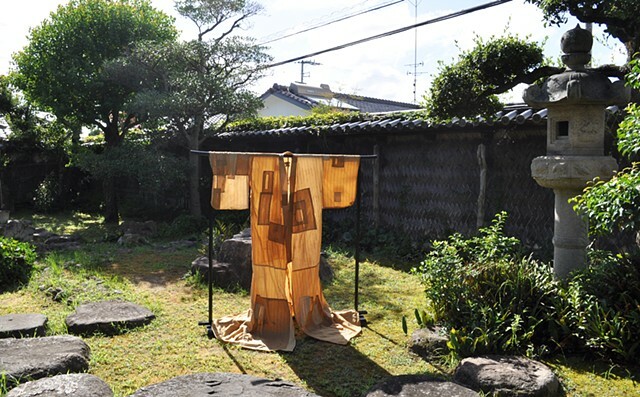 Yukata is made to my measurements, embodies my experience with this place. 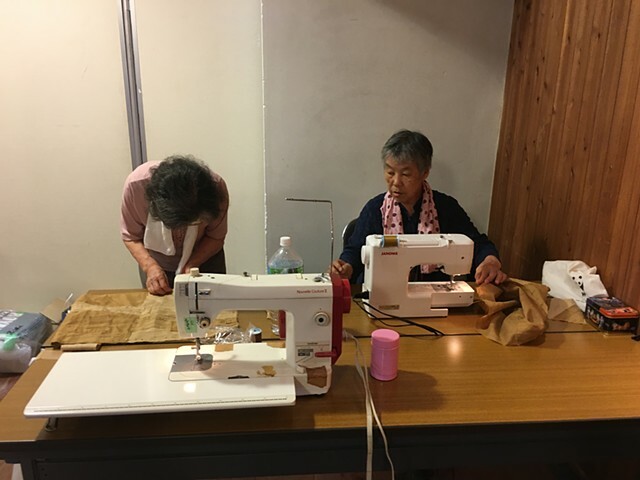 Shoyu filtration cloths were repurposed into something beautiful and identifiable to Japanese people. 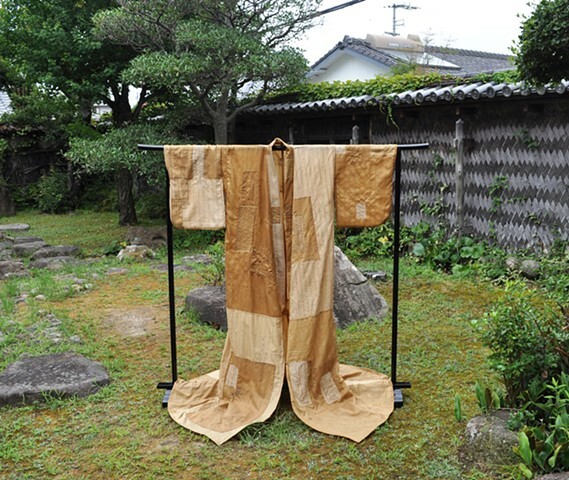 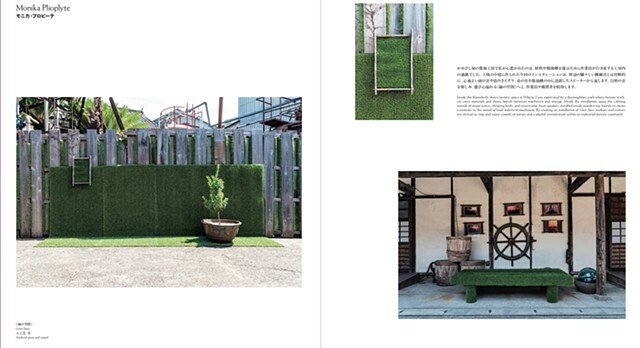 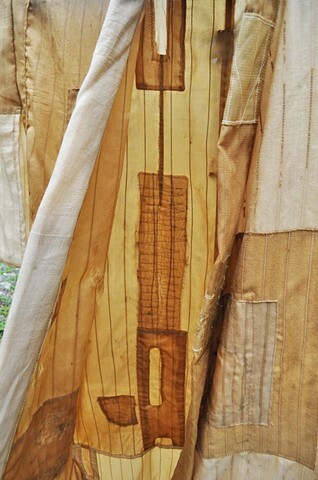 “Shoyu Yukata” is an artifact of Hiketa, encapsulating the spirit and the soul of place. 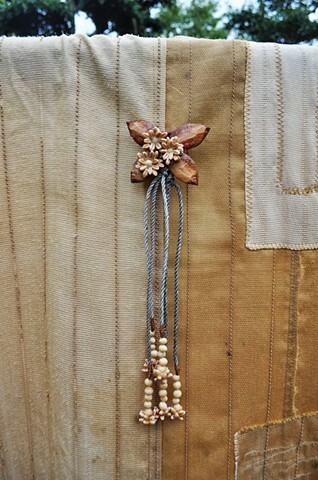 Back protection pin is made out of wheat and soy beans - the two main ingredients used to produce shoyu sauce. 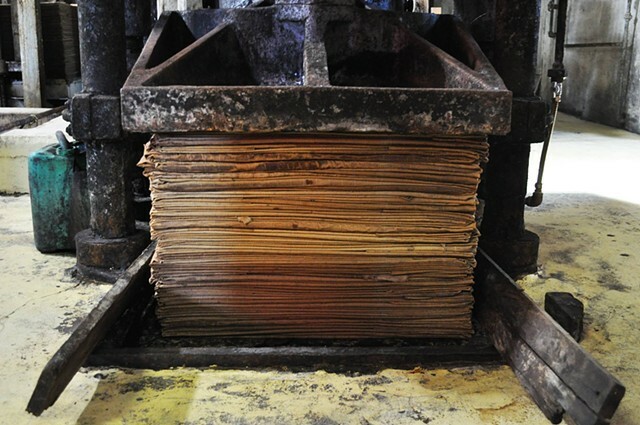 Inside the Kamebashi shoyu factory space in Hiketa, Japan, I was captivated by the thoroughfare path where factory workers carry materials and shoyu barrels between machinery and storage. 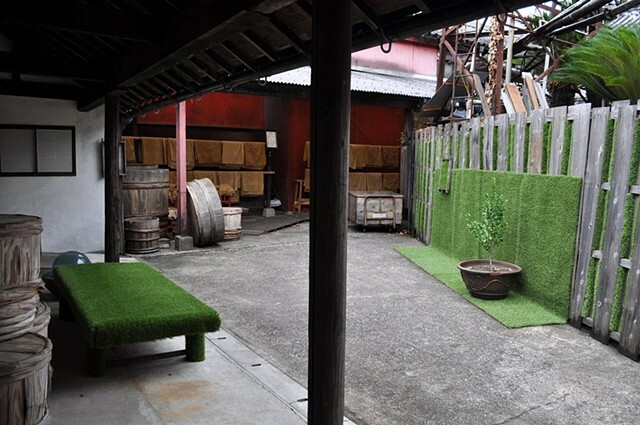 Inside the installation space, calming sounds of ocean waves, chirping birds and insects play from speakers installed inside the wooden shoyu barrels to create a contrast to the sound of loud industrial machinery. 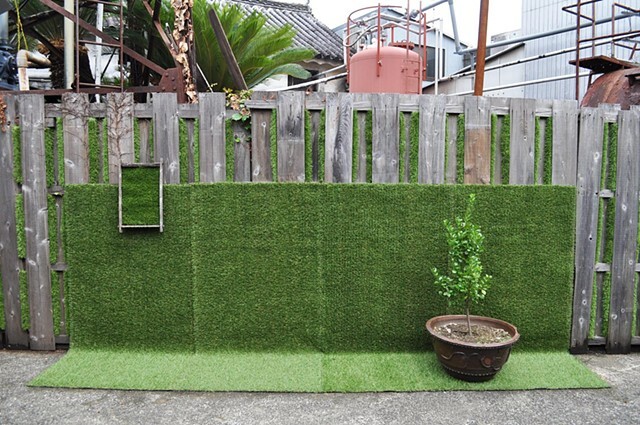 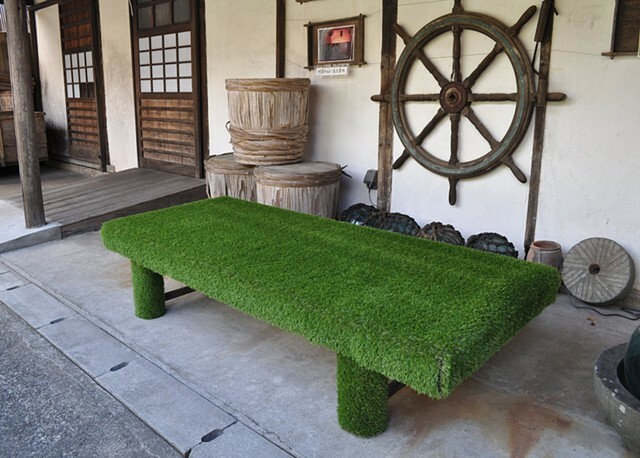 Inside the "Green Space, workers and visitors are invited to stop and enjoy the sounds of nature and a playful environment within an industrial factory courtyard.